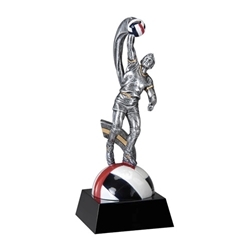 8" Male Volleyball Motion Extreme Trophies. This exciting volleyball award simulates real action. Made of resin.